Service Costs > How Much Does a Rat Exterminator Cost? A rat exterminator is a professional who helps you get rid of any rat infestation, large or small, and prevents these pests from coming back in the future. Rats and mice, as you can imagine, can do a lot of damage to any building where they nest. These nests do not need a lot of room, and once built, the rodents can spread quickly. Rats tend to bite wires as well as bite their way through walls, and getting rid of them on your own can very difficult and a lot of work. Most exterminator companies will charge an initial consultation fee that can range anywhere from $55 to $175. During this time, the expert is going to go through your home and try to find any trouble areas. Upon inspection, they are going to recommend any products that you may need and discuss what they can do for you. During the consultation process, the company will be able to give you an estimate. On average, rat removal can vary anywhere from $250 to as much as $900, depending on the size of the job. Most jobs, however, are going to cost between $300 and $500. The cost of a professional rat exterminator is going to vary depending on the number of rats, the number of areas that need to be patched, the complexity of the situation, the geographical location, the size of your home, the professional performing the job and if any cleanup/repairs are needed once the job is done. Traps that can be purchased by the homeowner can cost anywhere from $15 to as much as $55 or more for a sophisticated package. For example, the Agri Zap RZU001 retails for $47 to $62. According to the website Attic-Rat.com, they claim that costs are going to vary by each company but expect to pay less than $300. Also, keep in mind that you will need more than one visit to make sure the rats are removed for good. How severe is the infestation? If it’s severe, it can require different types of traps when compared to a minor invasion. Any rat proofing needed? Most exterminators will want to seal the entry points after the trapping to make sure these rats don’t come back. Rat proofing can be an additional $50 to $500, depending on the area that needs to be sealed. What kind of waste disposal? Rats love to hide, especially in larger piles of debris. If you want to keep these rats from coming back, professionals will highly recommend you remove any debris on the property to deter the rats from coming back. Where is the nest? Inside nests may be more due to the breaking apart walls to get to them. How many visits? Some owners may only need one visit, whereas others may need preventative visits to make sure the infestation has gone away. With a professional consultation, the extermination company will be able to diagnose and pinpoint the exact breeding grounds in your home. This will include inspecting the structures, determining which action should take place, how much of the area needs to be treated and a cost estimate. Once hired, they will use various methods, as explained below, and will visit the home multiple times throughout the week to see if the locations are trapping the rats. They should, depending on what’s included, will seal any entry points where the rats are entering. Legitimate companies will work until the job is done. 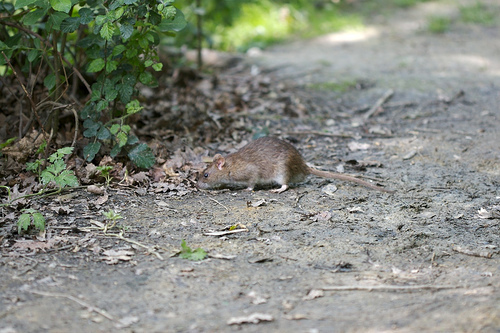 The most common types of rat removal methods include trapping, rodenticides, and anticoagulants. Trapping is just as what it seems — using a trap with bait or no bait to kill the rats quickly and directly. These traps will be used depending on the species. Rodenticides will be poison and will kill the rat after ingesting in. While it won’t kill the rat instantly, most experts don’t like using poison since it allows the rat to go back to their confined area, dying inside. It’s also harmful to both pets and children. Lastly, anti-coagulants will cause internal hemorrhaging, but some species have been found to be resistant to it. Some extermination companies, once they determine the rats are gone, will be able to patch any holes in the drywall, the home, as well as re-work electrical wires and any other cosmetic problem that need to be fixed. A rat exterminator can be hired through a local professional or famous companies such as Terminix, Orkin, Bioguard, Presto-X or Truly Nolen. Excess damages and repairs may be necessary after the complete job is done. This could include patching drywall or repairing wires. If you want to do the job yourself, consider purchasing the traps in bulk to save money and simply laying them around the home to see if the infestation subsides. Simple live traps will cost about $2, while jaw and snap traps can cost $2 to $5. Bait stations, depending on the capacity, can cost about $5 to $7. However, as AAA Animal Control notes, you should do it right the first time to ensure the nightmare doesn’t continue. Always get at least three quotes before deciding on a professional. Home Advisor, for example, lets you explain your situation and multiple contractors will send you an estimate based on your job. This is a great way to get highly rated reviewed contractors in your area without having to do all the homework to find them. When choosing one, always confirm they licensed and insured experts. Those who live in an apartment complex may find the apartment owners, if reputable, will try to help find a solution.